Our living room has slowly been getting a make over, but one piece that took us a while to replace was our sofa. Since getting married, we have been using a great Restoration Hardware brown leather couch that I bought second hand, but it is very hard to move (big and heavy!) and doesn't seem to fit the space in the townhouse very well. We went back and forth about wanting to buy a pull-out type sofa or not, but in the end just went for comfort and style. I am super excited about our upgrade! 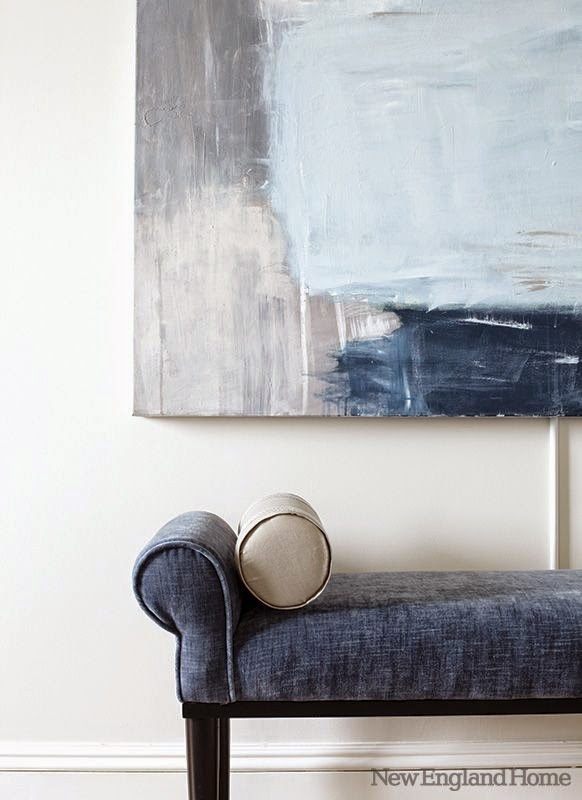 We went with a textured grey sofa with a chaise lounge (that was my "must have"). 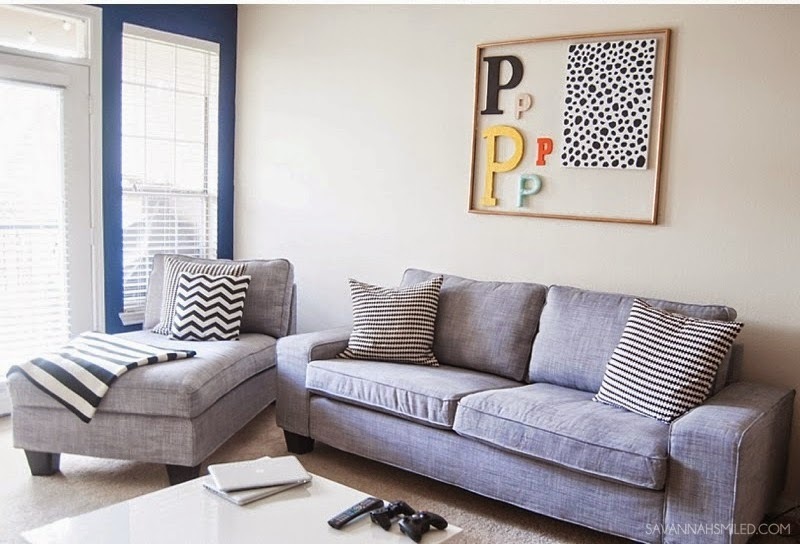 I really think switching from dark brown leather to grey will do wonders for our living room. The color palate will stay the same somewhat, we are just swapping brown for grey. 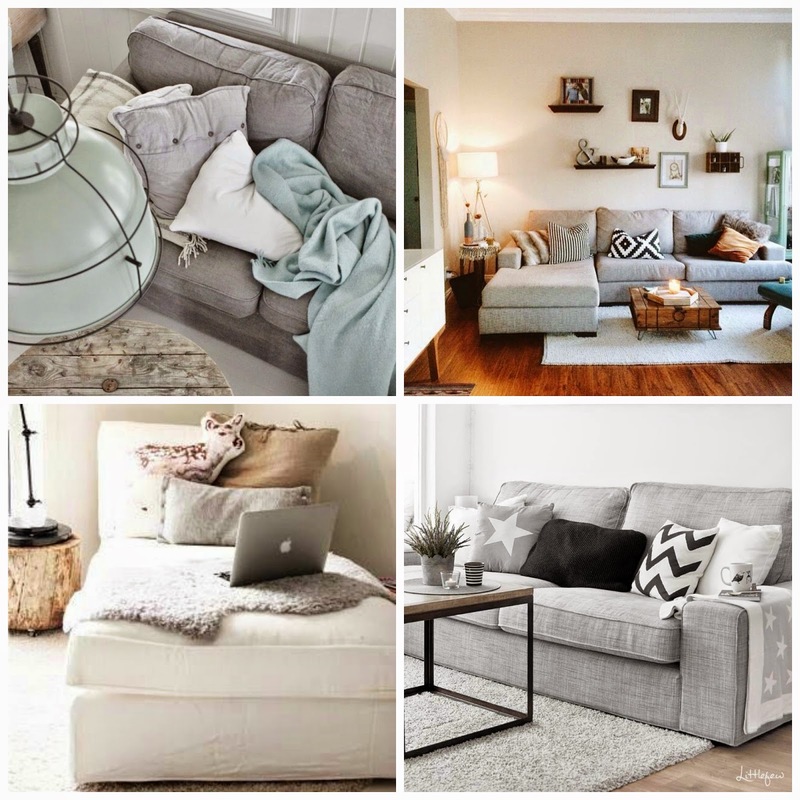 After we went couch shopping a couple times, I came home and searched pinterest for grey sofa inspiration and that really solidified that we needed a grey couch with/and a chaise. 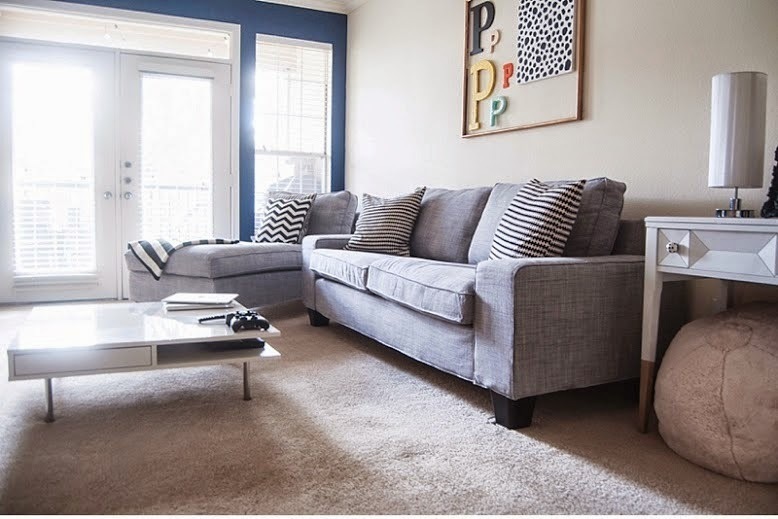 I found these pictures online of our new couch and chaise. I love that the chaise can be on its own or attached to the sofa!